This multi day package at the luxurious Ivory Tree Game Lodge provides an unbelievable experience of the majestic Pilanesberg Game Reserve, which is home to the "Big Five". Once again experience nature and the wild the way it was meant to be. Depart Johannesburg at 11:30 pm and arrive at Lodge at 2:00 pm. Guests then depart for an afternoon guided game drive in an open top safari vehicle. Guests then spend some leisure time at the Lodge followed by a delicious dinner. Awake early to enjoy a morning guided game drive in an open top safari vehicle. The game drive is then followed by breakfast at the Lodge. Guests then get to spend the afternoon at leisure. 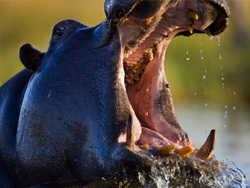 Guests may then select either a guided afternoon or evening game drive in an open top safari vehicle. The evening is then spent at the Lodge enjoying the sights and sounds of the amazing Pilanesberg National Park. This is followed by dinner. 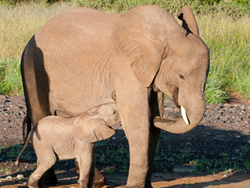 Guests are treated to a final early morning guided game drive in an open top safari vehicle followed by breakfast. We then depart back to Johannesburg at approximately 10:00 am.